Sancho's Creepy Doghouse of Terror "Sancho's Creepy Doghouse of Terror!!!" Please visit the new site HERE. I no longer update this site. 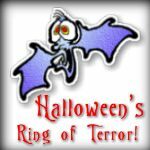 It is what you'd call "vintage Sancho"
THE HISTORY OF HALLOWEEN It's not just for Catholics anymore! HALLOWEEN FOOD AND DRINKS recipes for a bloated, flatulant November 1st! IDEAS 4 YOUR PARTY costumes , props and decorations. Blatant misuse of household products 4 fun!! 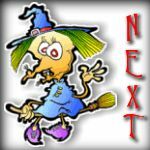 This Halloween-L WebRing site owned by Sancho.